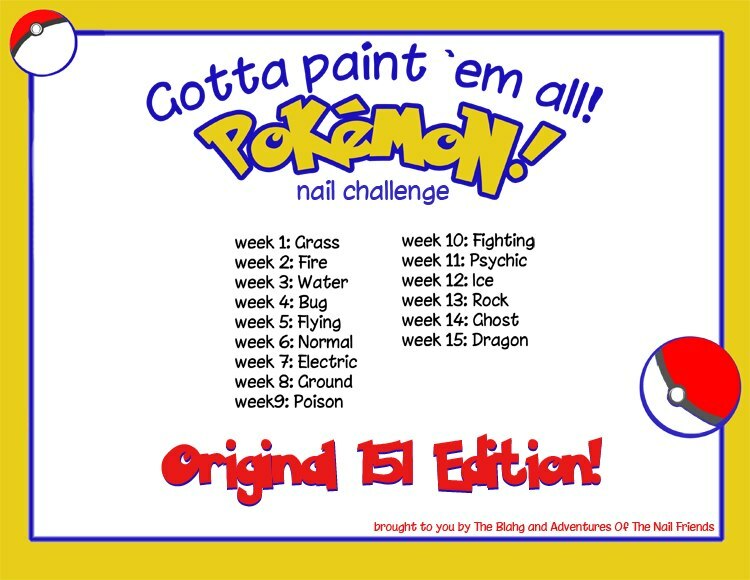 I can't believe it's week three already. 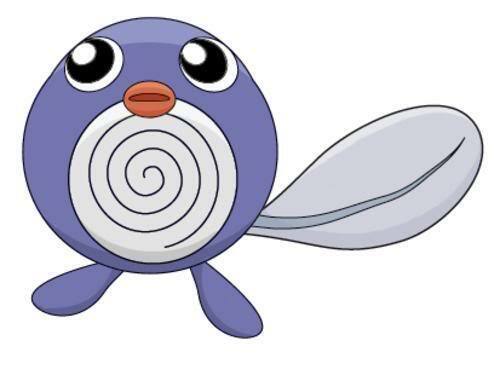 This week we're doing water Pokemon and I've chosen Poliwag. Sure there are cooler water Pokemon like the fearsome Magikarp or the adorable Vaporeon, but I was suckered in by Poliwag's magical belly swirl. 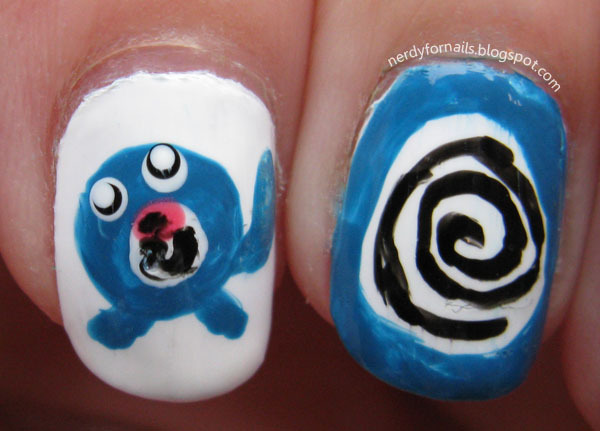 According to the Pokedex the swirl is acutally his intestines which you can see because his skin is transluscent. How could I go wrong with that? 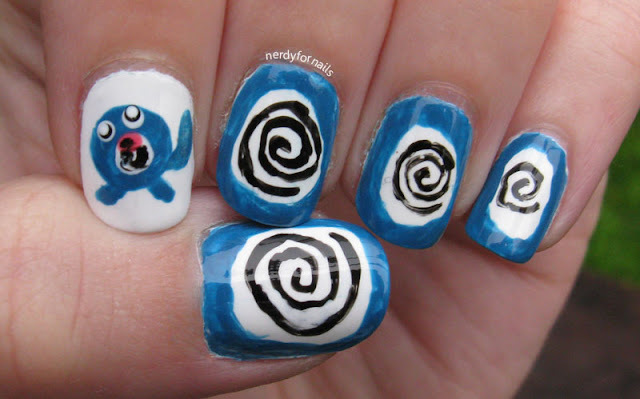 Here's the Poliwag that inspired my design. Here's a closeup of Poliwag. 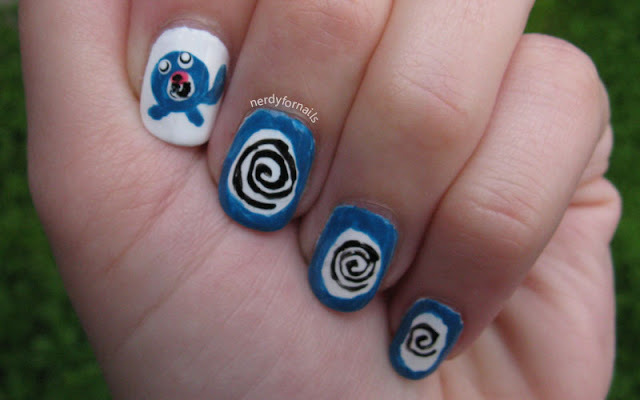 For some reason I can't remember now I thought it would be best to paint a white base on each nail and then paint on the blue edges with a small brush. As you can see the results are a bit patchy. 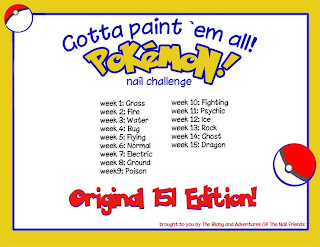 Check back next week for Bug type Pokemon. Noooo he has a cute storyline in the animé he's dead cool! Emulators make it possible for you to play the old, classic 8 bit or 16 bit games that you grew up with without having to scour yard sales for old consoles and games.